With only three songs and a major action sequence left to be shot apart from a minor patchwork, Prabhas’ Saaho is almost complete. Until the Shades of Saaho: Chapter 2’s release, Saaho was poised to hit screens on August 15, as an Independence Day treat. But there was no official announcement on the release date in the Chapter 2 making video. This left everyone wondering if Saaho will be postponed to a later date. But here comes an almost official update. 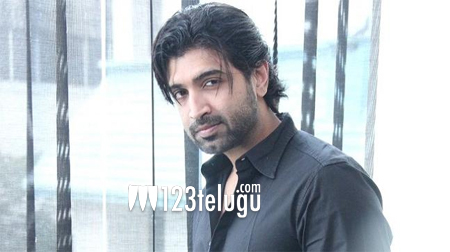 Popular Tamil hero Arun Vijay, who’s essaying a crucial role in Saaho, took to Twitter this morning and said that he has wrapped up his part in this much-awaited action adventurous thriller. Not stopping there, Arun went on to say, “Wait for an exhilarating experience in theatres from Aug 15!,” indirectly making the release date official. Saaho is being made simultaneously in Telugu, Tamil and Hindi. UV Creations banner is bankrolling the project with a budget of nearly Rs 250 crore and Sujeeth is directing it. Shraddha Kapoor is the film’s leading lady.